When I began running mid 2015, I never knew where the road would take me. Today I have 7 5Ks under my belt and am training for my first marathon! I started off with just a pair of hand me down running shoes and the comfy clothes I already had in my closet. Flash forward to today I have am set up my own in home gym with the generous help of Ocean Eyes! As you can see, running has begun to cost more than I ever thought. But this is my passion and I cannot wait to invest in it and myself. Here is are seven running areas I'm spending money on. 1. Treadmill / gym membership / free & safe place to run. When I began running, we had an old treadmill, in the winter months it shocked you so we ended up getting rid of it. I started a gym membership at that time and three months in, found that it was too far to get to on a regular basis and began running at my local park. Winter is back again and I have to get marathon ready, so a new treadmill it is. Ocean Eyes helped me clean out our upstairs and a new treadmill has just arrived. We will also have space for strength training as well. 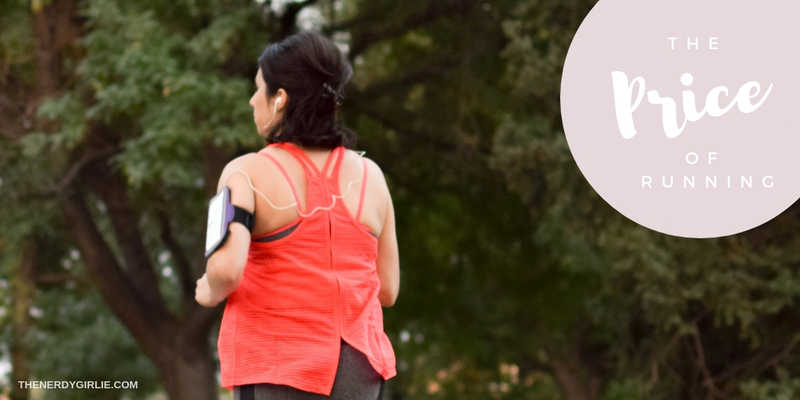 I'm glad that my passion can help give us both motivation to live a healthier lifestyle! 2. Shoes. I started with a pair of hand me down shoes from my mom. Those lasted me a good year! Then I bought my first pair of running shoes before I began my 5K journey. After another year I bought a second new pair. I foresee more and more shoes piling up with the more miles I rack up during my marathon training. I LOVE New Balance! #obsessed. They are a great price. I usually spend $50 to $70 on a pair and they, until now, have lasted me a full year. I will probably move to 2 pairs a year in the near future. These I would always buy new. Google says they should last 300 to 500 miles. But that is up to you. Comfort and stability is key to performance! 3. Athletic Wear. If you are new defiantly hit up your local Goodwill. I found some great running shorts and tops (ADIDAS and North Face). Then as I grew in my running passion, I tried out the Ellie subscription box. Once I felt like I had enough items I stopped it. Now that winter is here, I bought a few appropriate pieces for races that will have bad weather. Take your time and don't feel like you need to buy everything at once. 4. Accessories. Even more to spend money on! I have an arm band for my cell phone, a belt for holding my keys and to put my bib on during races, hats, socks, sunglasses...the list goes on and on. Again it is all about what you need in the moment! 5. Races. As you can tell from my Insta and now blog, I LOVE races! I love the competition with myself to do better each time, the energy of the crowd and of course the medal at the end! But they do begin to add up. The 5Ks I have been doing are around $25 to $35 dollars each. And the marathon I'm looking at is $99. And that is on the cheaper side of marathons. But for me it is worth it to put myself in a position to push myself and have a goal to pursue. 6. Books / Magazines. I just recently picked up my first copy of Runner's World and fell in love. 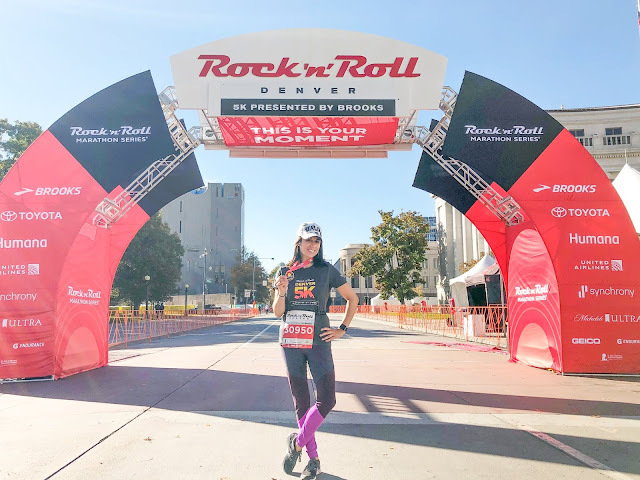 There was a great article on why 5Ks are the best race to run and 26 reasons to run a marathon. I was hooked and signed myself up for a year subscription. The best part was for $20 I was able to get one for me and one for a friend! I also have a few running books on my Amazon wish list. 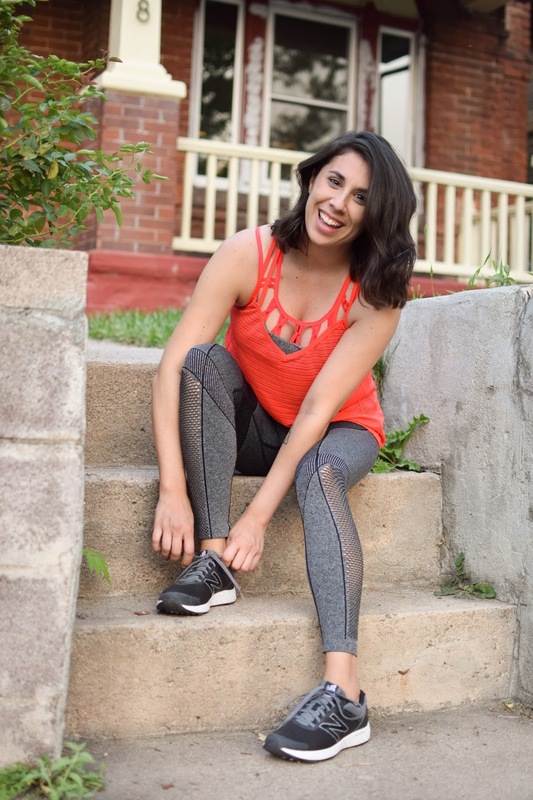 I love being inspired by other runners and getting tips on how to improve my own running. 7. Strength Training. I've recently found that it is also important for runners to strength train as well as log their miles. Next to my treadmill is a dedicated space for strength training and stretching. I have two free dumb bells and a yoga mat set up. Ocean Eyes has kettlebells. While all of that equipment is old, it did cost money to start. Take a look for that stuff at Goodwill, Target or Amazon for the best deals. 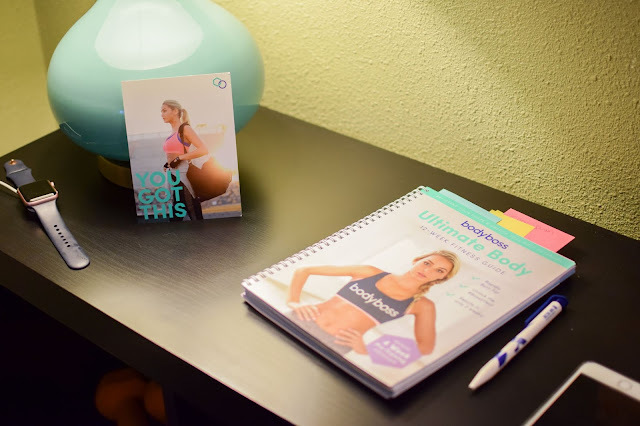 I am working on the Body Boss Method as well come the new year. Whew! Did you see dollar signs flash before your eyes? I sure did. But it will all pay off when the numbers on my treadmill decrease and my medal count increases. I cannot wait to share all the ups an downs with you. I'm ready to jump start my New Year's Resolutions. Are you?! Share with me in the comments below and don't forget to follow along on Instagram! I need to upgrade my running shoes! They're good enough but could be better. 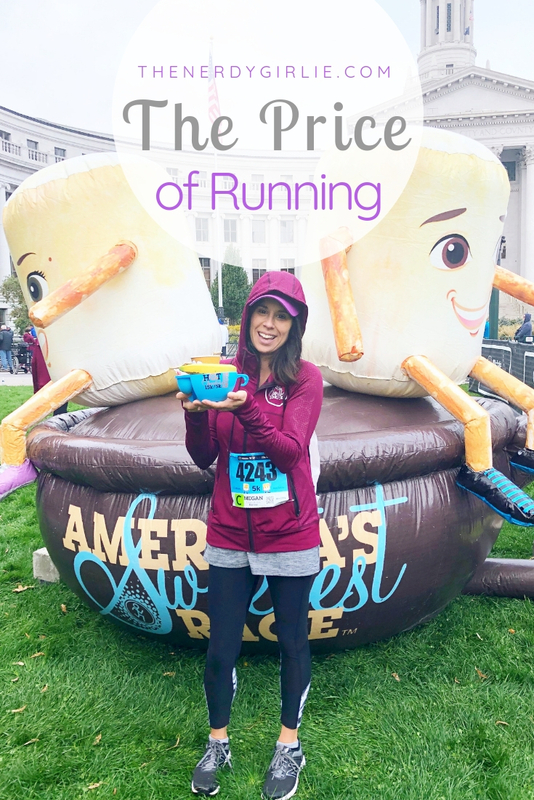 A tip on saving money for races is too sign up sooner! I know around here most of them stagger fees. So the closer it gets, the more it costs. If you're able to plan ahead it'll save you a few bucks! I would love so much to get a treadmill! We just moved into an RV a considerable ways out of town though so it really isn't in my future. Going to the gym isn't the easiest either so I am in a bit of a conundrum ha ha! We have had more snow this year than in the past ten years; I can understand not wanting to run outside in it! Definitely a slip hazard, ha ha!